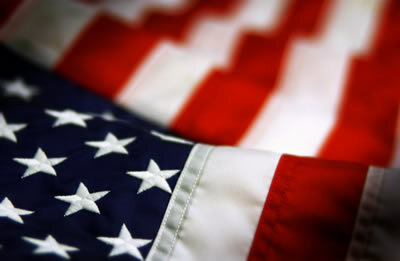 Before the Gold, Silver, and Bronze, it's the red, white and blue. At the Olympic Games, it's not the color you go home with that matters, it's the colors you came in. When colors mean this much, trust them to Tide. It doesn't matter what color you you came with. It matters what color you go home in. Soquel Camp Meeting, July 12-21, 2012. Monterey Bay Academy will be at Soquel Camp Meeting with a special gift for our alums. MBA will also be hosting a watermelon feed on July 21, 2012. Stop by the MBA trailer near the cafeteria. Congratulations to Kristian Leukert, MBA's Director of Music, for being named a 2012 Teacher of Excellence by the Alumni Awards Foundation. He was one of ten teachers in America selected from SDA academies. Kristian is the 9th teacher from MBA in 10 years to receive this prestigious award. Congratulations to Ruth (Rufus) Nobuhara for winning the Staff Member of the Year 2012 award. The Staff Member of the Year award is given to a faculty/staff member who has shown exceptional service and dedication to the students and to their fellow colleagues, demonstrated a commitment to Monterey Bay Academy, and communicated the unconditional love of Jesus Christ to others. Recipients of the award receive $500 and their name on the perpetual plaque that hangs in the lobby of Grunke Hall. This award has been presented by the MBA Alumni Association for the past 19 years. Maranatha Work Bee (June 15-22, 2012) A special thanks to all those who volunteered during the Maranatha work bee at MBA, including the Lodi Fairmont and Sonora SDA churches. Special projects included painting the new computer rooms in the dorms, painting faculty homes, and landscaping. Q: How is a healthy person like the United States? A: They both have good constitutions! A: Yes. That's how they get from the 3rd to the 5th. From Big Al, a grownup, Frankfort, KY. There have been revolutions before and since ours. But those revolutions simply exchanged one set of rules for another. Ours was a revolution that changed the very concept of government. Who were the first civilians to live on the MBA campus? Winner: Betty Baerg, former faculty. Betty will be added to our drawing to win a free weekend stay at Monterey Bay Academy. How much was tuition only (not including room and board) for MBA in 1950? Camp Meeting (July 12-22, 2012) We are looking for volunteers to be at the MBA booth during camp meeting. Contact Marci Scott if interested. mscott@montereybayacademy.org or 831-728-1481 ext. 1246. Calling for Memorabilia MBA is looking for your memorabilia for our alumni museum. You can send your class shirts, jackets, sweaters, and other MBA memorabilia to Monterey Bay Academy, Alumni Department, 783 San Andreas Rd. La Selva Beach, CA 95076. Nadeen Irvine, '62, donated her sweater during alumni weekend. Roger Williams, '52, just donated all the letters he had written to his parents while a student at MBA. His mother had saved each and every letter. 63rd Alumni Weekend April 25-28, 2013 Looking forward to seeing you during MBA's 63rd Alumni Weekend! Remember, Alumni Weekend is always the fourth weekend in April.